Elevate your present-giving status this year. From high-quality headphones to the perfect athletic bag, these gifts for runners will put a smile on any athlete's face. Run-friendly headphones have made strides in recent years with features like sweat-proof cords and comfort-fit ear buds. Take the iSport Intensity headphones, which are designed to stay in and optimize sound quality. The best part is that they reduce outside noise without blocking it out altogether, so your runner can still hear traffic. Other features include a microphone for taking calls, anti-microbial ear tips and a tangle-free cord. Give your runner a spot on the wall. These custom-made medal display racks are a great way to show your support. Customize your gift with an inspirational quote, a favorite race name or a running nickname to add a personal touch. If your runner tends to overheat on hot runs, he or she might need Mountain Hardwear's Cool.Q Zero technology, which lowers the temperature of the fabric during a workout. The short sleeve shirt is available in both men's and women's sizes. Throw in the Quasar Running Visor, $28, that's made with the same cooling technology. So many races, so little time. Sign your runner up for a race he or she has been wanting to do but hasn't gotten around to yet. Just make sure it's within their ability before you make a commitment on their behalf. Every runner needs a good supply of socks. Hook yours up with Feetures!, a sock that's built to withstand the rigors of running, washing and repeating on a regular basis. The company is so sure of their product that they offer a lifetime guarantee. Choose from ultra light and light cushion in their elite line. Or give your runner a real treat with the Plantar Fasciitis Sleeve, a sock that's designed to relieve pain from symptoms of the common running injury. Light the way with this vest pack. The lightweight, yet sturdy, design stays put so runners don't have to mess with it during their run. The low-profile pack comes with a 100-lumen LED, reflective trim and chafe guard adjustable shoulder straps. This pack is perfect for runners who go long distances, work out at night, or run on trails. Not your traditional training monitor, this system offers real-time feedback so the user can adjust his or her workout on the fly. It's like having a coach at every workout. In addition to telling the runner when to slow down or speed up, the virtual coach offers words of encouragement and reasons for the adjustments. The system includes headphones and a heart rate monitor, and the accompanying app is available for iPhones and Androids. Tie a tube of Ruby's Lube to the top of your runner's gift. Initially designed as a remedy for dry skin, Ruby's Lube was embraced by endurance athletes as one of the most effective anti-chafe creams on the market. It's water and sweat resistant and is still a great option for dry skin. The best part: this "Motion Potion," made from ingredients like olive oil, calendula flower and beeswax, is all natural. Put a little pep in your runner's step. 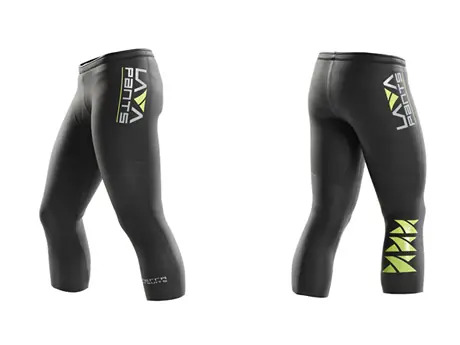 If he or she is a fan of mud, color or costume runs, these tights are a must. Just like the name suggests, the tights come in a variety of truly funky styles including Wild Turkey, Midnight Jungle and Solar Storm. Make sure your favorite active friend doesn't miss a beat with this armband that's spacious enough to fit an iPod or smartphone, keys, energy gels, credit cards and whatever else one may need on a run. The memory foam strap comes in small or medium, is comfortable, and stays in place whether a runner is pounding the pavement or trudging through the trails. Finally, the perfect endurance sports bag, and the perfect gift for runners. This duffel bag, which converts easily to a backpack, has a storage compartment for all your runner's gear. In addition to a shoe pocket, tech pocket and wet storage, it comes with a mesh nutrition panel inside a side zipper and a clear plastic pouch that can hold a race-day checklist. Gear-obsessed athletes will love how easy it is to stay organized with this bag. For a cheaper option, choose from the Athletic and Duffel Bag series. Check out Active GearUp for discounts on high-performance gear from your favorite brands.